What People Are Saying About "SOAR! 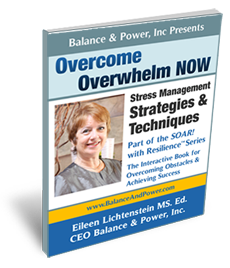 with Resilience®"
Create Optimal Happiness & Productivity Obstacles & Achieving Success"
This course can start turning your ailing business - or life - around. 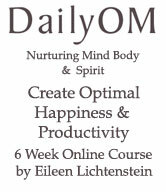 Even if you're doing well, this course will propel you to a higher level of success and happiness! Thinking about becoming an entrepreneur? Looking for a career change, a reinvention? 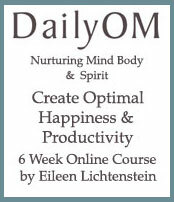 Create Optimal Happiness & Productivity! 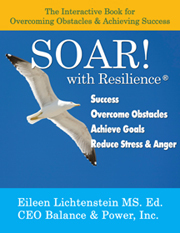 "Eileen Lichtenstein's audio CD has helped me so much with my migraines. In only one week of listening and doing the relaxation exercises I have not gotten any headaches or migraines." 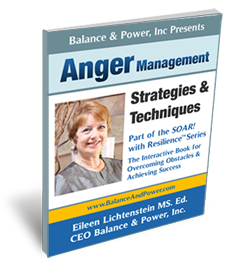 Would you like to sponsor a Balance & Power, Inc. / SOAR! with Resilience®event or series in your venue-location? 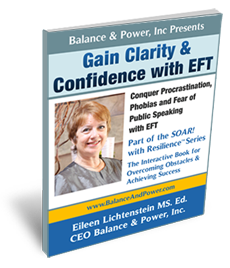 Become a Balance & Power Affiliate!